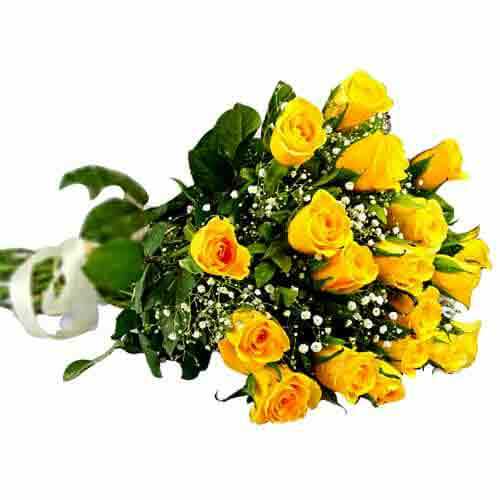 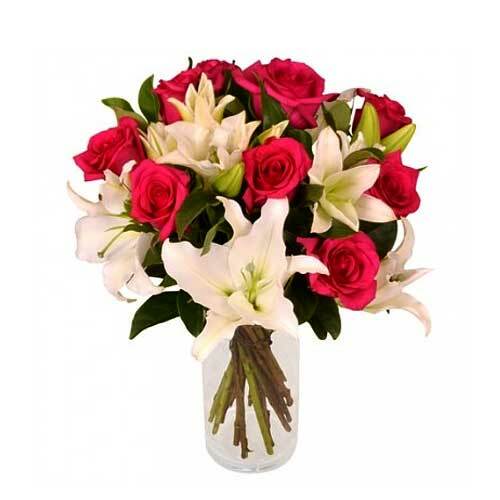 Product description: A fabulous gift for all occasions, this Sunburst Lemonade Flower Bouquet includes Roses and White Lilies in a Vase. 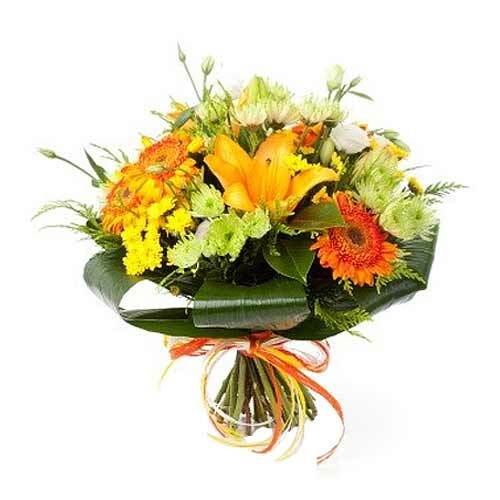 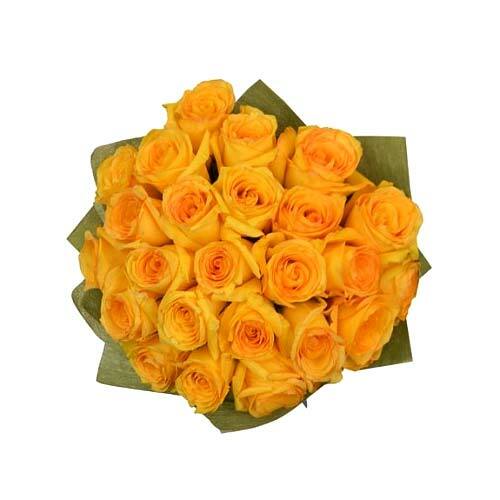 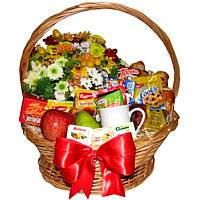 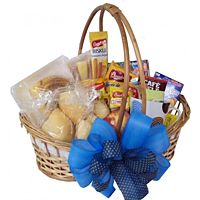 With this present of Lively Bunch of Amazing Flowers, transmit, in a comely maneuver your heart-felt feelings to an individual you view in a distinctive hue. 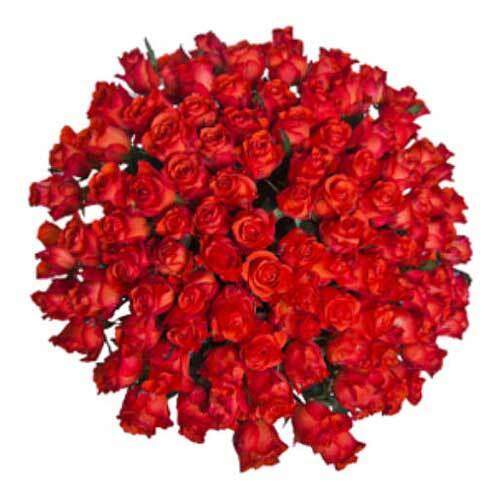 Let the 100 Red Roses bouquet set the standard for expressing love and thoughtfulness.